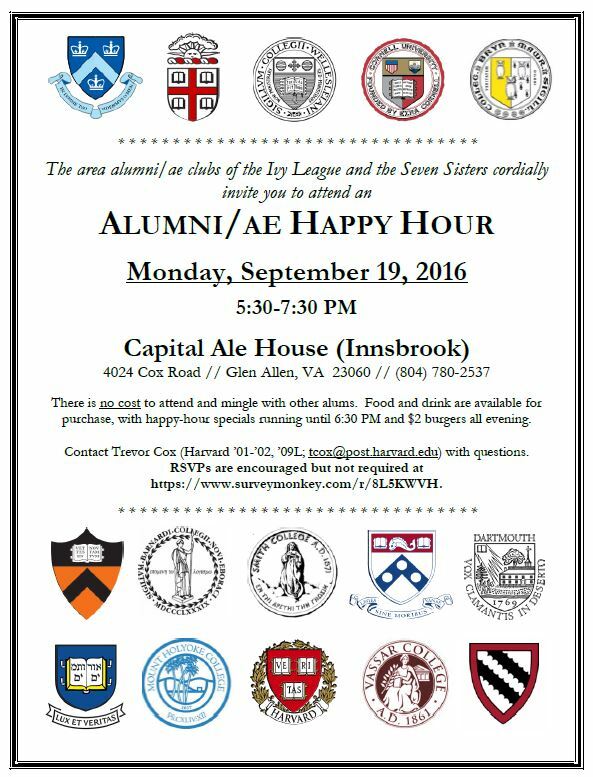 There is no cost to attend and mingle with other alums. Food and drink are available for purchase, with happy-hour specials running until 6:30 PM and $2 burgers all evening. RSVPs are encouraged but not required at https://www.surveymonkey.com/r/8L5KWVH.